DTM: In 1981, you did a farewell concert. Was that you saying, "O.K., I get it and I want to move on to something new? Obviously, it was the non-farewell farewell concert, because we are sitting here today! 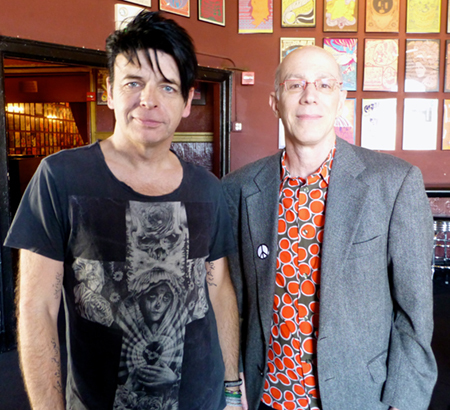 Gary Numan: It was a very genuine desire to back out of the whole thing – live is what I am talking about. It was all very sudden and I had this overnight rise from nothing to massive in most parts of the world and I didn't take to it. I felt I lost control of my entire life, especially my career. I wanted to slow everything down, try and take a breath and try to understand what had happened and then mature a little bit. I was still a kid when all this was going on. I wanted to concentrate on my songwriting and I thought live work was getting in the way. Even though I had #1 singles and albums I thought my songwriting needed to be much better.